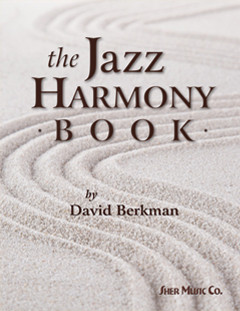 The Jazz Harmony Book by David Berkman | Sher Music Co.
An instant classic! The definitive book on how to create beautiful jazz harmonies for any melody. Starting from the most basic harmonic situations and progressing to contemporary jazz harmony, this book shows how to uncover the best choices for chords to accompany any melody. 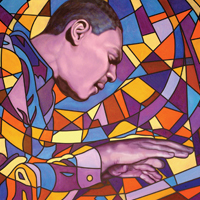 The Jazz Harmony Book is a serious study of the fundamentals of jazz harmony. A must for the serious jazz player, composer and arranger! Basic functional harmony, diatonic substitutes, secondary dominants, passing chords, diminished harmony, tritone substitutes, non-functional approaches to harmonizing melodies including quartal harmony, color chords, harmonizing basslines, pedals, slash chords, unavailable tensions and MORE! Not just a dry textbook, it is an engaging and witty guide to developing a more nuanced sense of harmonic color, drama and movement. The Jazz Harmony Book is a course in the process of adding chords to melodies, in understanding how a single melody can give rise to rich harmonic variations. This book will help you learn to speak the language of harmony, to learn the changes of standard tunes, to better understand and create the 'right' chord progressions to these songs, to re-harmonize songs freely in the manner of great jazz artists like Hank Jones, Thelonious Monk, Art Tatum, Oscar Peterson, Bill Evans, Chick Corea, Brad Mehldau, Herbie Hancock, Duke Ellington, Gil Evans, Thad Jones, Joe Pass, Jim Hall and John Scofield. Includes 2 CDs of the author playing many of the written examples in the book. 206 pages! 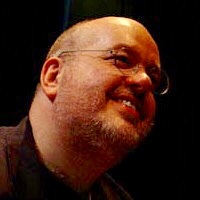 David Berkman is one of the top pianists on the NY jazz scene today, with seven records released under his name, and having performed with countless major jazz figures, including: Sonny Stitt, Brian Blade, Chris Potter, Joe Lovano, Billy Hart, Eddie Henderson, Lenny White, Bill Stewart, Hank Crawford and Dave Douglas. David is also an in-demand jazz educator on three continents, the author of two previous Sher Music Co. music books, and associate professor of music at Queens College in New York.